For the 1998 animal welfare legislative initiative, see California Proposition 6 (1998). For the 1978 attempt to ban gay schoolteachers in California public schools, see Briggs Initiative. For the 2018 transportation repeal measure, see California Proposition 6 (2018). 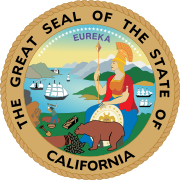 California Proposition 6, also known as the Safe Neighborhoods Act and The Runner Initiative, is a statutory initiative that appeared on the November 2008 ballot in California. This proposition was rejected by voters on November 4 of that year. Proposition 6 would have placed additional penalties on gang related and drug crime. Require new state spending on various criminal justice programs, as well as for increased costs for prison and parole operations. This funding is equivalent to 0.3% of California's General Fund. Authorize prosecution as an adult (rather than in juvenile court, if a juvenile court judge consents) of any youth 14 years old or older who has been convicted of a gang-related felony. Require that all occupants who are recipients of public housing subsidies submit to annual criminal background checks and lose housing if convicted of a recent crime in order to free up housing for non-criminals. Increase penalties for several crimes, including violating gang injunctions, using or possessing to sell methamphetamine, or carrying loaded or concealed firearms by certain felons. Eliminate bail for illegal immigrants charged with violent or gang-related felonies. Establish as a crime the act of removing or disabling a monitoring device affixed as part of a criminal sentence. Change evidence rules to allow use of certain hearsay statements as evidence when witnesses are made unavailable due to actions by the defendant. Requires a 3/4 vote to amend. Net state costs likely to exceed a half billion dollars annually primarily for increased funding of criminal justice programs, as well as for increased costs for prison and parole operations. Unknown one-time state capital outlay costs potentially exceeding a half billion dollars for prison facilities. Unknown net fiscal impact for state trial courts, county jails, and other local criminal justice agencies. Funds to pay for these costs, should Prop. 6 pass, will come from 0.3% of California's general fund. In the current California state budget, $600 million (0.6%) is set aside to assist with local law enforcement. If the initiative passes, an additional $350 million (0.3%) will be required to enforce some of its provisions. The name of the official campaign committee supporting Proposition 6 is the Committee to Take Back Our Neighborhoods. Patricia Wenskunas, Founder, Crime Survivors, Inc. Creates more effective and accountable intervention programs to stop young kids from joining gangs. It provides additional funds for victim-witness protection programs. Prohibits bail for illegal aliens who are charged with violent or gang crimes. Ensures additional funding for local police, sheriff, district attorneys and probation officers. The petition drive to place the measure on the ballot was conducted by National Petition Management, at a cost of $1.022 million. The official committee opposing Proposition 6 is known as No on Propositions 6 & 9, Communities for Safe Neighborhoods and Fiscal Responsibility. The Ella Baker Center for Human Rights. It diverts billions from California's schools, hospitals and childcare centers by funding failed prison and policing policies, deepening the state's ongoing budget crisis. It targets youth for adult incarceration by deeming any youth 14 years or older who is convicted of a "gang-related" felony must be tried as an adult. It targets poor people by requiring recipients of public housing subsidies to submit to annual criminal background checks and withdrawing the housing subsidies of people with recent criminal convictions. It targets illegal aliens by denying bail to those that are charged with violent or gang-related crimes and requires local sheriffs to inform Immigration and Customs Enforcement (ICE) of the arrests. Individuals who are not affiliated with gangs are listed in gang databases and may be falsely prosecuted under this provision. The name of the official campaign committee opposing Prop. 6 is No on Propositions 6 & 9, Communities for Safe Neighborhoods. ^ "Runners support initiative against gender law, Daily Press, Dec. 30, 2007". Archived from the original on 2008-11-21. Retrieved 2008-10-08. ^ "Supervisor Gary Ovitt". Archived from the original on 2008-11-14. Retrieved 2008-10-29. ^ "Senator George Runner". Archived from the original on 2008-10-07. Retrieved 2008-10-08. ^ "A Message From Senator George Runner, Oct. 27, 2008". Archived from the original on 2008-10-08. Retrieved 2008-10-08. ^ "KHTS-AM, "Runners Looking To Target Gangs In Ballot Initiative", March 18, 2008". Archived from the original on 2009-11-01. Retrieved 2008-10-08. ^ http://news.muckety.com/2008/06/13/indicted-billionaire-henry-nicholas-iii-crusaded-for-tough-penalties-for-criminals/3401 "Indicted billionaire Henry Nicholas III crusaded for tough penalties for criminals"
^ http://www.latimes.com/news/opinion/la-oew-greene11-2008jun11,0,119616.story "The Two Henry Nicholases"
^ http://www.latimes.com/technology/la-me-nicholas25dec25,1,1689098.story "Initiative sponsor in spotlight"
^ http://www.sacbee.com/static/weblogs/capitolalertlatest/013300.html Archived 2008-10-12 at the Wayback Machine "Nicholas pleads not guilty"
^ "List of Prop 6 opponents". Archived from the original on 2008-09-09. Retrieved 2008-10-08. ^ "Defeat the Runner Initiative". Archived from the original on 2008-07-27. Retrieved 2008-07-12. ^ "Statement of Vote: 2008 General Election" (PDF). California Secretary of State. 2008-12-13. Archived from the original (PDF) on 2012-10-18. Retrieved 2009-02-21. Defeat the Runner Initiative, opponents of Prop. 6. State Sen. Runner throws support behind anti-gang proposition, June 27, 2008. Ella Baker Center contributes to campaigns against two propositions, July 9, 2008.